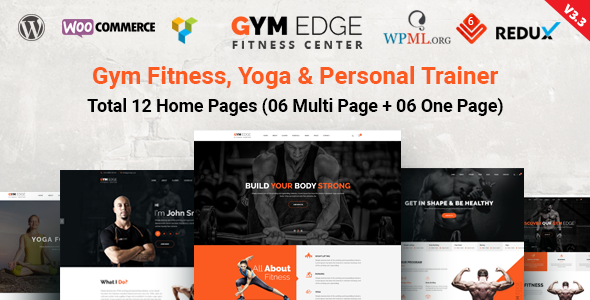 GymEdge – Gym Fitness, Yoga & Personal Trainer one & Multi page WordPress Theme. It is fully responsive for all kind of devices like Desktop & Mobile. 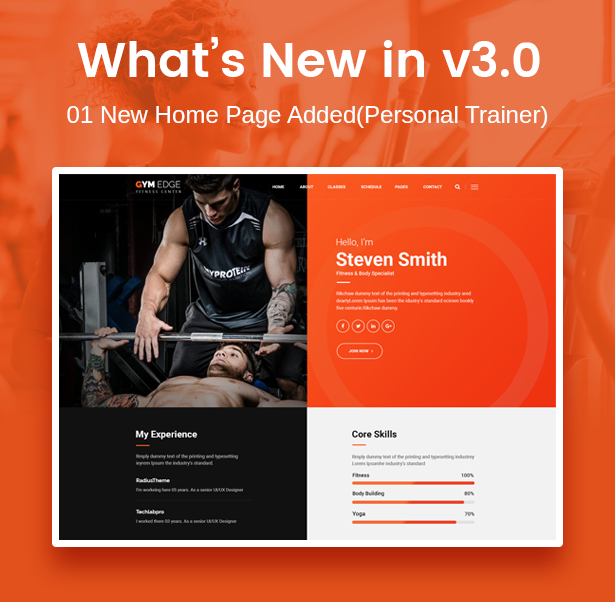 GymEdge has included all kind of features and pages like Classes, Schedules, Trainers, Blog, image gallery also shop pages for Gym Fitness , Yoga & Personal Trainer web site. 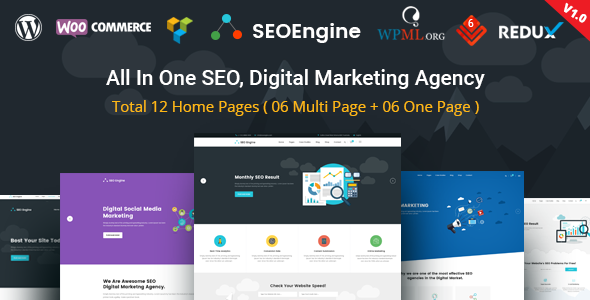 06 Home Pages (Multi Pages). 06 Home Pages (One Pages). 05 Class Style (Grid & Slider ). 03 Schedule Pages (Table Routine, Schedule by Class & Schedule by Day). 05 Trainers Style (Grid & Slider). 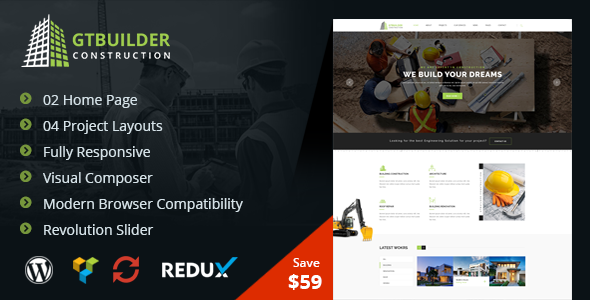 New: Single trainer layout added in Visual Composer Trainer addo. New: Manually data import option added for existing website data. Fix: WooCommerce php warning has been taken care. Fixed: Week Day display issue in single class page. Fixed: Error notice upon schedule empty field. Fixed: Schedule Empty day remove from day filter. Added: 24-hour time schedule option in Theme Settings. Fixed: WP LogoShowcase Image re-size issue.